Into the blue, in the Sound of Arisaig. 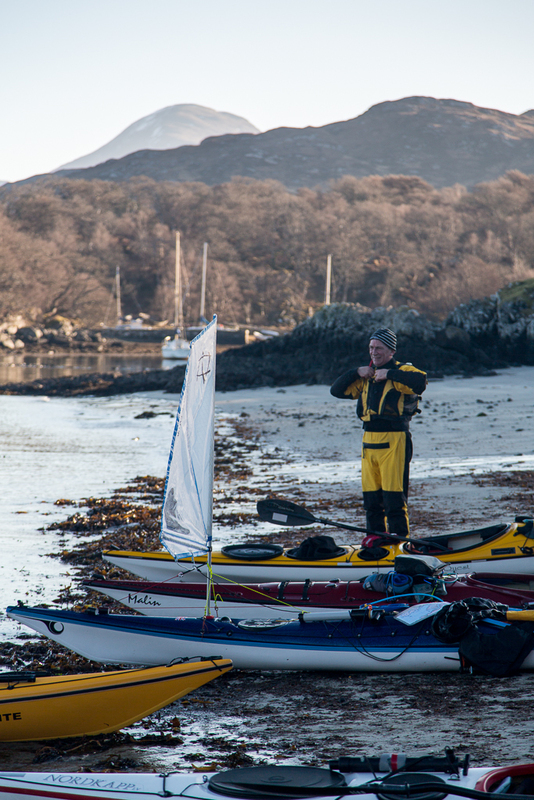 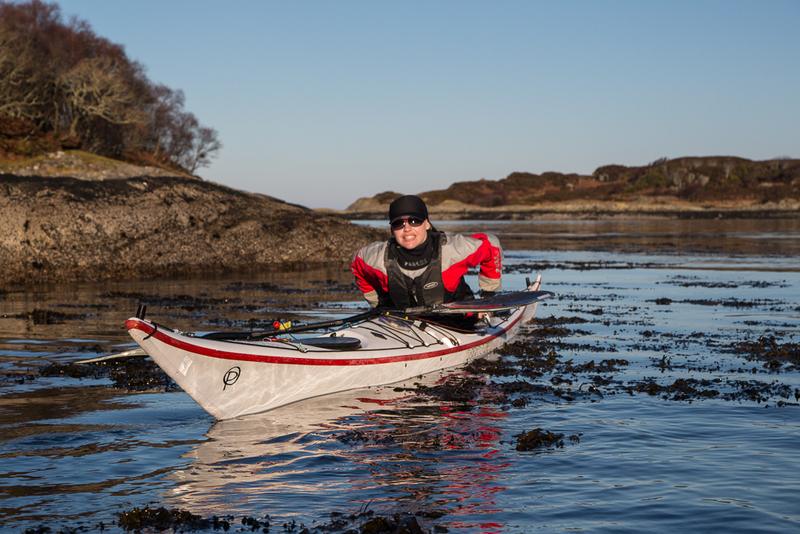 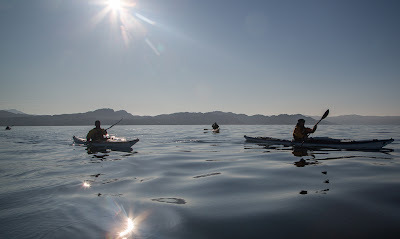 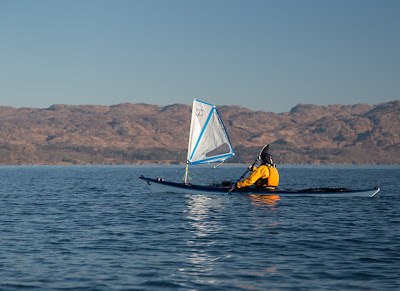 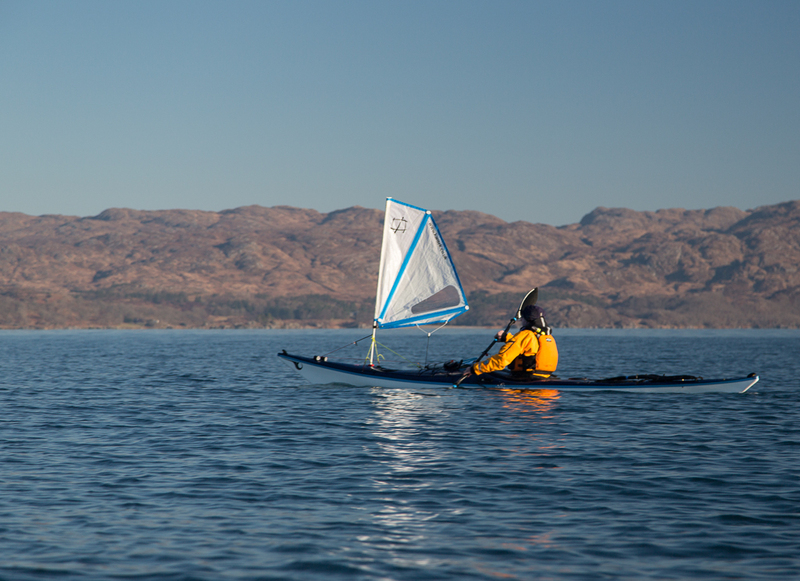 It was back on the 19th of February that Ian, Mike and I were joined by Jennifer and Phil for a paddle in the Sound of Arisaig. ...which helped to warm frozen fingers as we got the spray decks on. 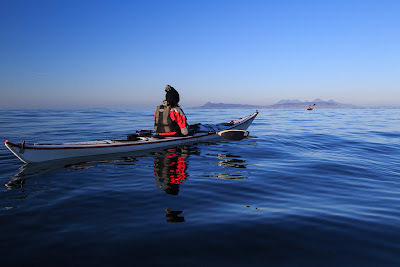 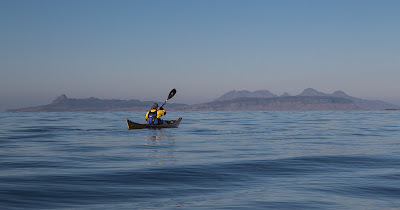 ...it did not last long and soon we were paddling on a glassy sea. 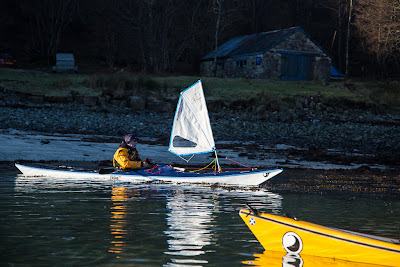 Ian has already drawn attention to the amazing quality of blue light we experienced that morning. 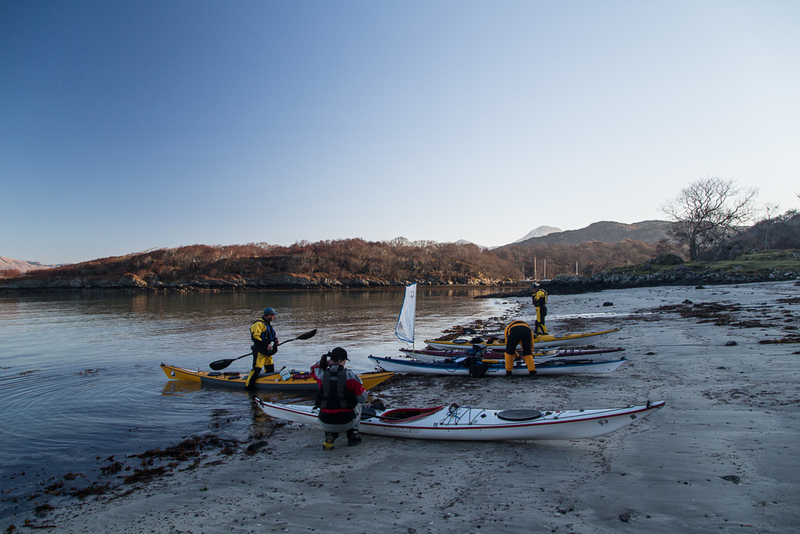 ...behind us the hills of Moidart were thrown into relief by the low winter sun. 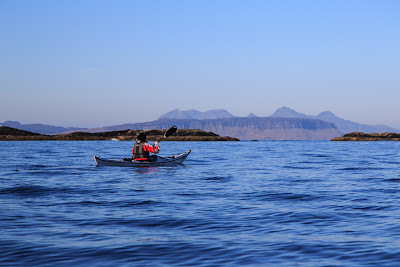 We were making for a series of skerries that guard the mouth of the Sound of Arisaig.